Through her art column in The London Free Press, Crawford promoted the London art scene with articles on exhibitions and other visual arts events. Born in London, Ontario, Lenore Crawford was a well-known art critic in London during the 1960s and 1970s. Following graduation from Western University, she began her career in the newspaper business as a proofreader for the London Echo, and then moved on to a newsroom job at the London Advertiser. At The Windsor Star in Windsor, Ontario, she began to write about art with encouragement from Bas Mason, an editor for Western Ontario. Though very hesitant and shy at first, with help from artists Clare Bice and Gordon Payne, she produced articles on a variety of subjects, her first being a profile of Kenneth Saltmarche, curator of Willistead Gallery, now Art Gallery of Windsor. 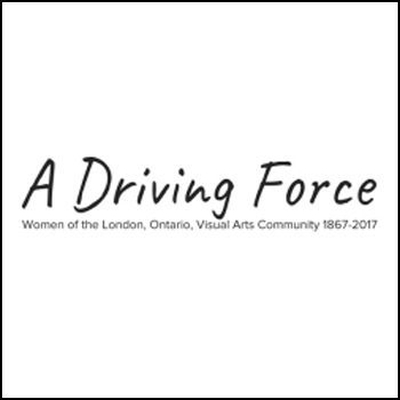 Crawford’s support of London visual art included being a founding member in 1955 of the Women’s Committee of the London Art Museum. Through her art column in The London Free Press, Crawford promoted the London art scene with articles on exhibitions and other visual arts events. After visiting Greg Curnoe’s early exhibitions, she visited his studio often and became a strong supporter of his unique style. After her retirement in 1974, Crawford’s career was celebrated in an exhibition, The Artist and the Critic, at McIntosh Gallery. The Artist and the Critic: A Tribute to Lenore Crawford. London, Ontario: McIntosh Gallery, Western University, 1974. Newman, Richard. “Lack of Curiosity and Mystery to Critic Lenore Crawford,” in The Artist and the Critic: A Tribute to Lenore Crawford. London, Ontario: McIntosh Gallery, Western University, 1974. Poole, Nancy Geddes. The Art of London, 1830-1980. London, Ontario: The Blackpool Press, 1984. Cholette, Katie. “Memory and Mythmaking: The Role of the Autobiography in the Works of Jack Chambers and Greg Curnoe.” Ph.D. thesis, Carleton University, 2007. Poole, Nancy Geddes. The Past… Comes Back: A Memoir. London, Ontario: Blackpool Press, 2012.